Ron and Maggie Tear Photography: Little Bee Eater Pair. Taken on the Kwando river Botswana. 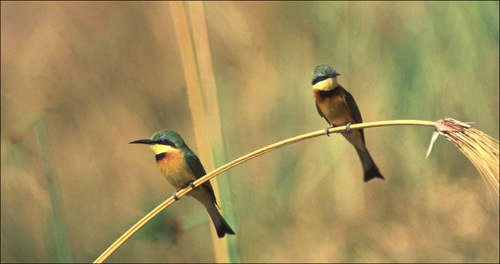 Spent some time observing this pair of Bee Eater's passing Dragonflys to each other. Finally managed to get within distance to capture the pair. Kwando River, Kwando concession, Botswana, Africa.